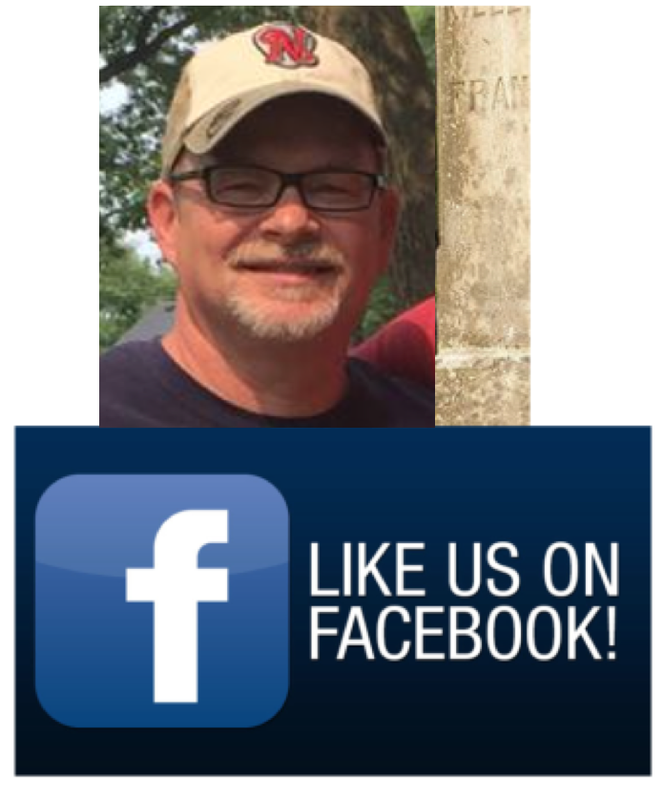 Descendants of the Battle of Franklin | Preserving the stories one soldier at a time. He was born in Louisiana and at the beginning of the war we think he may have been the postmaster in Pelahatchie, MS. Family legend says that he still owned land in Pennsylvania from the orgininal land grant to William Penn but refused to go back after the war and pay taxes on it because it was Yankee territory. After the conclusion of the war, one of his daughters married a man from the north and was promptly disowned and kicked out of the family. He also previously served one enlistment in the 10th Mississippi Infantry and upon completion, enlisted into the 6th Mississippi. he remained as a prisoner of war until the end of the war. Pictures taken after the war attached below. No letters or documents although we have a certain number of documents related to his capture and subsequent discharge as a POW, as well as census documents, any of which I’d be happy to share. As the dull morning light of December 1, 1864 began to spread over Franklin just after 6 a.m., the gravity of what had transpired became horribly clear. Capt. William C. Thompson, 6th Mississippi, was still lying on the ground near Lewisburg Pike when dawn broke. He was in such pain that he “cared little” about either living or dying. Eventually someone found him and carried him to a field hospital where a doctor dug the bullet out of Thompson’s leg without chloroform. Capt. R. N. Rea, 4th Mississippi, was not wounded, but had been through his own hell. After the Federals retreated he remained in the ditch near the Carter cotton gin. Around 1 a.m. he got out from under “a pile of dead and wounded men” and began wandering the desolate field. It was cold, and Rea was so stiff that he “could hardly walk.” He saw lanterns moving about and campfires sprinkled across the landscape. By the time the sun came up the captain had recovered somewhat, only to have the light of day expose the great expanse of horror. Rea said it was like nothing he had ever seen, nor wished to see again. Dead and wounded were everywhere, and in his estimation one-fourth of the Rebel army had been destroyed. Jacobson, Eric A. (2013-11-01). For Cause and Country: A Study of the Affair at Spring Hill & the Battle of Franklin (Kindle Locations 8557-8562). O’More Publishing. Kindle Edition. 4. Was he wounded at Franklin? Captured? Missing? Killed? Neither wounded nor captured nor KIA. I believe his regiment saw action near the Carter Cotton Gin at Franklin. 5. Survive Franklin? Survive the war? He did survive the War and lived until 1926. His death certificate lists his occupation as “Retired Farmer” and his cause of death was attributed to “Chronic Brain Softening” He was 87-years-old at the time of his death. 9. Surviving letters, diaries, or documents you’re willing to share? His Confederate pension application is attached to this email. It states that he served from September of 1861 to April of 1865. Unfortunately I don’t have much personal info on A.L.D. He survived the war and was mustered out at the end of the war April 10th 1866 in Raleigh N.C. He passed away at the home for disabled Volunteer soldiers 1907 in Leavenworth, Kansas where he is also buried. I have been trying to get specific information on the 128th in particular company A. For a time our family was fractured and most of oral history was lost and as far as I know no physical history remains. If you have or know of any history on Company A I would appreciate it. 1. Full names of soldier. 2. Rank, unit served with, etc. Samuel A. Farmer was born in GA about 1830, and as a very young child he moved with his family to Monroe County, AL. On May 15, 1850, it was there that he married Mary Ann Wright. Sam was a farmer and a “Minister of the Gospel.” He was an educated man of simple means, and he was not a slave holder. He and Mary Ann had five children: Lucinda Washington Farmer (my ancestor), Amanda Jane “Mandy” Farmer, Henry King Farmer (who became a minister also), Susan Ellender “Ellen” Farmer, and Ellfair “Ella” Farmer. The Farmers temporarily moved to Covington County, MS about 1859, then on to Simpson County, MS the following year. On April 5, 1862 Sam enlisted in Westville with Captain (later Major) R J. Durr for a period of 3 years. The records erroneously list his age as 22; he was 32 at the time he enlisted. His younger brother, Pvt. George Henry Farmer, served in the same unit and would have fought at Franklin as well. Sam was killed in action during the Battle of Franklin. Sam’s widow Mary Ann married William B. Gray in 1865. Sam’s brother George Henry Farmer survived the war, and his name appears on the Indigent and Disabled Confederates List of 1865. He married Margaret Catherine “Kate” McLendon on January 7, 1875 in Simpson County, MS, and they had seven known children. I am a third great-granddaughter of Samuel A. Farmer. No. I hope to discover one some day. I have very little. Please see attached copies of service cards I have found on Fold3 and a grave marker photograph which was added by “james brooks christoffersen” to Find A Grave Memorial # 6538857. I would like to add that the Battle Flag of the 39th MS was captured by the 4th Minnesota at the Battle of Allatoona in GA on October 5, 1864, and the remnants are in the collections of the Minnesota Historical Society in St. Paul. Photo reproductions of a painting of the flag are for sale on its website. I am also attaching a copy of the photographed painting. 2. Rank, unit served with, etc. He served in Company E of the 20th Infantry Regiment of Tennessee. 3. Any personal info about the soldier that you’re aware of. He was born July 17, 1848 in Williamson County and he enlisted on June 8, 1861 in Trousdale, TN. 5. Survive Franklin? Survive the war? Yes he survived and lived a long life. He was 72 years old when he died on May 9, 1921. 6. Your exact relation? He is my maternal great-grandfather. 8. Any pictures of the soldier: in uniform? Before or after the war? I have pictures of him before and after service, but none in his uniform. 9. Surviving letters, diaries, or documents you’re willing to share? None that I am aware of at this time.